Student films also will be screened with 78 other short films from 11 countries at the Sanford event. 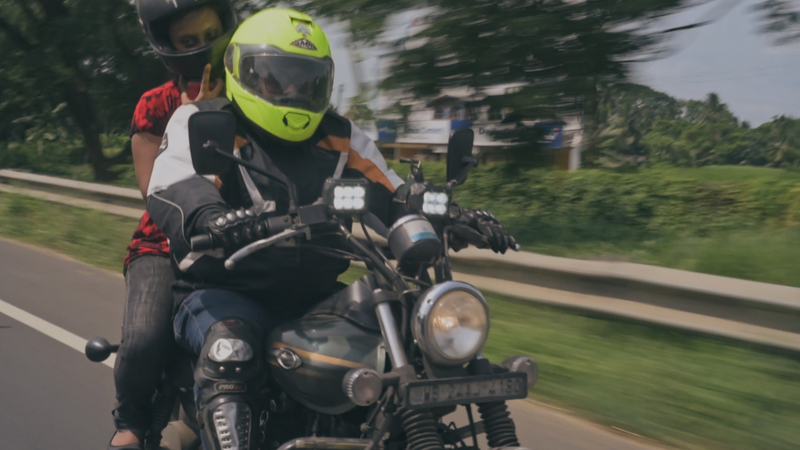 'Lady Bikers,' a film by student Ramsay Kujawa, was a study-abroad project in India that will be shown at the Love Your Shorts Film Festival. The film is about female motorcyclists challenging gender roles. Florida’s film industry is trying to write a new script, one that would return the state to its prominence as a major filmmaking destination in the country, following a steady drain of projects the past few years. Projects have migrated — many to Georgia — because of increasing film-friendly attitudes and incentives elsewhere. “In the last four years, Florida has lost more than 60 major film and television projects that would have spent over $1 billion dollars in Florida,” says John Lux, executive director of Film Florida trade association and a panelist at a Feb. 7 filmmaking workshop sponsored by the UCF College of Arts and Humanities at the Love Your Shorts Film Festival in Sanford. “The State of Filmmaking in the State of Florida” has become a hot topic in the industry and will be the topic at the film festival’s Education Day, which kicks off the Feb. 7-10 festival. The free workshop is at the Wayne Densch Performing Arts Center, 201 S. Magnolia Ave., Sanford, and will be followed by a selection of UCF student films. There are more than 50,000 Floridians who work in the film, television and digital media industry, which strengthens the state’s economy and attracts tourists influenced by something they’ve seen on TV or the movies. A panel of film professionals, moderated by Associate Professor Lisa Mills ’99MA, will discuss what filmmakers are doing to bolster the industry in Florida. In addition to Lux on the panel are Sheena Fowler, Orlando Film Commissioner and senior director of marketing and communications at Orlando Economic Partnership; and David Morton ’14MA, a film historian and UCF history instructor working on his doctorate in texts and technology. After the presentation, a selection of eight UCF student short films will be screened at 8 p.m., including drama, comedy and documentary, two of which are independent study-abroad projects by student filmmakers who traveled to India. Also a part of the event is WUCF, which is the festival’s media partner. The ninth annual Love Your Shorts Film Festival will showcase short films in seven categories (comedy, drama, animation, documentary, sci-fi/horror, Florida Flavor, and E for Everyone), plus an opening-night variety of films, and a Best of the Fest competition on closing night. Also scheduled is a free panel at 5 p.m. Feb. 9, at which visiting filmmakers will present a discussion and Q&A on techniques, tips and current projects. All the festival’s events are at the Wayne Densch Performing Arts Center, a refurbished 1923 theater on the National Register of Historic Places. For a schedule, ticket information and other news of the festival, go to LoveYourShorts.com and Facebook page. You can only take so much polka. An experimental collaboration between two UCF students and two students from India about the City of Joy from the mixed perspectives of residents and visitors. Jason happily lives his life to the fullest despite the obstacles he faces. Living in limbo as someone under the immigration policy of DACA (Deferred Action for Childhood Arrivals). A woman discloses a terrible trauma to her therapist. A group of female motorcyclists in Kolkata, India, share their experiences at the forefront of a movement that challenges gender roles in a changing society.